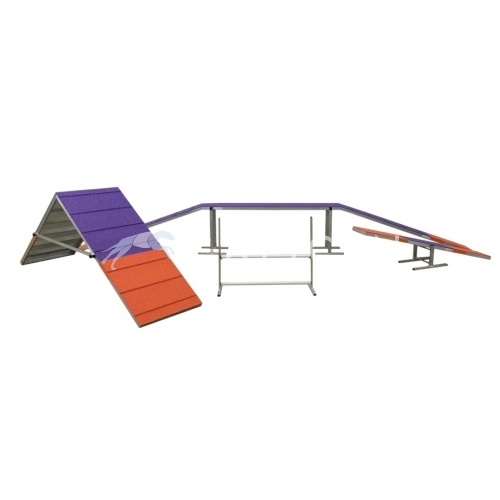 Smaller size seesaw for agility beginners. Measurements are proportional to competition ones. Made of aluminium and antislippery rubber surface. The measuments are: Plank: 200 cm long and 30 cm wide. Contact zone (diferentent colour): 63,5 cm. Seesaw height: 30,5 cm. Weight: 9kg.